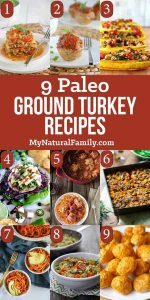 I searched far and wide and found the best 9 Paleo ground turkey recipes I could find cause I love ground turkey! I love how it has a mild flavor and can be used similar to ground beef but is just different enough that it feels like I got a break from the same old, same old. 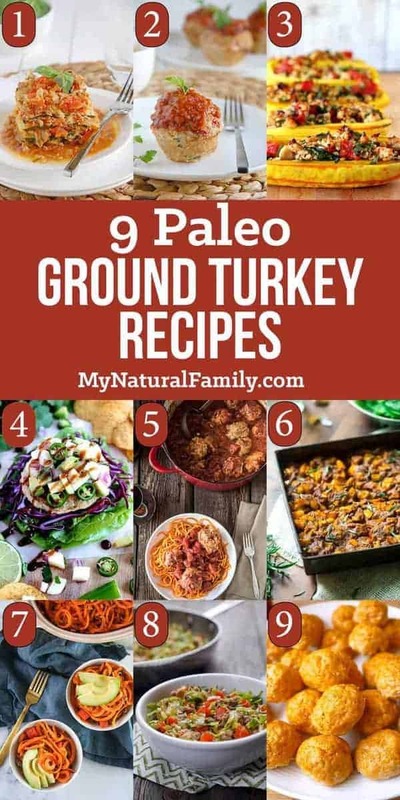 I think part of the reason all these recipes are so successful is that ground turkey on its own can be a bit try and even tasteless but these recipes add a little flavor, color, texture and sometimes fat mixed in so you get the best of both worlds. I’m happy that all these recipes look good and appetizing am I am willing to try them at least once and ultimately, hopefully, add some of them to my archive of recipes to use for my family. We are always trying to find new and healthy recipes to add to our list to keep it fresh and enjoyable. Let me know which are your favorites by commenting below! My sister absolutely loves lasagna so I developed this Paleo lasagna for her which just happens to also be gluten-free. It’s just like regular lasagna but zucchini replaces the noodles and it has coconut milk instead of cheese. I think I actually like it better without the noodles. Then I realized that’s probably because the zucchini makes it nice and moist and best of all it doesn’t make me sick. Win-Win! I really like the flavors I get with the combination of ground pork and ground turkey rather than using ground beef. It’s a really nice flavor. I get tired of ground beef all the time plus it’s a good idea to eat a variety of foods nutritionally. These meatball muffins are great for family dinner or parties. They can be made ahead of time and heated up. That’s a good thing for parties or when you need a quick healthy meal. I think they are good for practically any time of the day. I like how they are made in muffins pans which makes them in uniform shapes. Plus it is a good way to get portion control if that’s important to you. They are great for snacks, lunch or even breakfast. Such a great idea! This is a recipe for a super simple meal, it is literally a squash cut in half with cooked ground turkey and some veggies mixed together inside the squash and then roasted in the oven. The squash creates a nice container for the mixture to roast in and this recipe is packed full of good nutrition. Next, we have a delicious juicy turkey burger packed with veggies and a delicious BBQ sauce. I think sometimes we automatically assume that a hamburger is a forbidden food because of the sauces, cheese, and bun. This is s shame because burgers are delicious and are a very versatile meal beyond the stereotypical fast food burger. This burger has an Asian style flavor that you might enjoy trying and is definitely a smart choice for a meal. Here is a recipe for classic meatballs in tomato sauce. The recipe is packed full of vegetable and yummy spices and herbs. If your family is hesitant about healthier meals and just want what they want this could be a good recipe for everyone. The “healthy” ingredients are hidden or more subtle and while you put it over sweet potato noodles you could always easily cook some traditional noodles for those who prefer that. This flexibility of this meal is nice for a family to avoid having to make three different meals for dinner cause I know that happens at our house far too often. This is a casserole meal with ground turkey, lots of vegetables. Basically, all the ingredients are combined into one pan and then cooked in the oven and are simple to put together. This meal could be prepared the evening before or the morning of the day you would eat it and then cooked when you are ready for it or even a good option for a freezer meal? One of my favorite meals ever is tacos, I make tacos a frequent basis but it can be hard to keep it within my dietary needs. This taco casserole looks like a good option for that, all the ingredients I love and friendly to my lifestyle. It also helps that it looks simple to prepare and cook. I have always been hesitant to eat brussels sprouts but then I found a pre-shredded bag at one of my favorite stores and roasted them. Ever since then I have loved eating them and will include them whenever I can. I have added this recipe to my archive to use on a regular basis. This is a simple meal of veggies and ground turkey cooked in a skillet together. It is nutritious and delicious! This is a simple meatball recipe with almond flour and ground turkey with an egg added to hold it together and some spices for flavor. These meatballs can be used in multiple dishes or just by themselves with one of your favorite sauces. Can’t wait to try some of these recipes. They look delicious to try. Can’t wait to try the yummy recipes. I was able to find organic, free range turkey from a local farmer. Had a bunch of it ground and I am ready to get cooking. Thanks for the fabulous info! Hi! 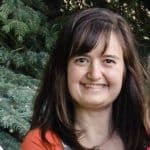 This is Gabi from livehealtheasy.com…just wanted to stop by and say thanks so much for including my recipe in this great roundup! Can’t wait to try some of these other recipes as well! Thank you so much for including my recipes on this roundup and a few of your others!! I love seeing all these great ideas together! You’re welcome. I hope we can get you lots of good traffic! You are too kind Rebecca! Thank you so much for posting our recipes. We appreciate it so much! Thank you, Rebecca, for the shout out on our Morning Glory Turkey! We look forward to trying these other ground turkey recipes as well! They look delicious!